Homemade corn tortillas are a life-changer for all sorts of Mexican dishes. Think tacos, tostadas, enchiladas, burritos, corn chips with pico de gallo . . . Don’t like Mexican food? Not a problem – warm homemade tortillas are good enough to be eaten on their own. Since this post is about corn tortillas, you might have guessed that I love homemade corn tortillas. In fact, I prefer corn tortillas over regular (wheat flour) tortillas. Not only because of their flavor, but also because of their nutritional profile. High-quality masa harina (dehydrated nixtamalized corn flour) contains whole ground corn kernels. This means that corn tortillas are higher in fiber, vitamins, and minerals than flour tortillas. 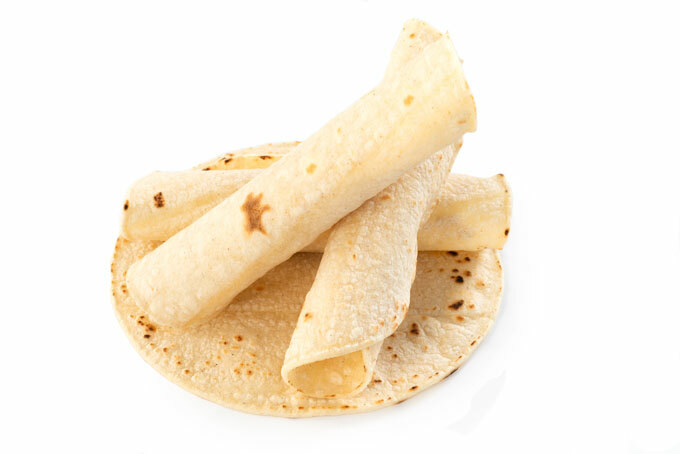 Another advantage corn tortillas have over wheat tortillas is that they don’t call for any fat (lard or shortening). All you need is corn flour, water, and salt. Finally, since corn is a gluten-free grain, corn tortillas are also naturally gluten-free. Masa harina, sometimes simply referred to as masa, is the easiest way to instantly improve your tortilla quality at home. Masa harina is made with dried corn kernels that have been cooked and soaked in lime water, dried, and ground into masa. The nixtamalization process (soaking in lime water) is what loosens the hulls from the kernel and softens the corn for grinding. Nixtamalization also gives corn tortillas a very distinctive flavor. You can buy masa harina in Mexican, Latin American, specialty food shops, or online. The most popular brand of masa harina is Maseca and some recipes call for it using this name. 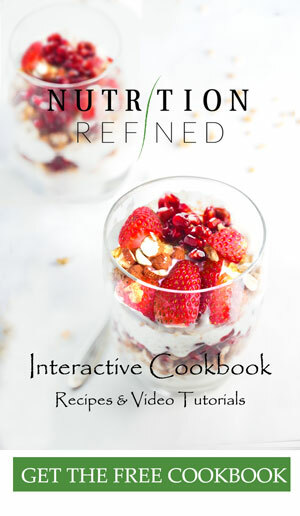 The other ingredient you’ll need is water. You can use warm or hand-hot water. The warm water (as opposed to cold water) will make the dough soft and pliable. There’s some trial and error when it comes to the amount of water you’ll need. When you add water to masa harina, the texture will seem dry, crumbly and will barely hold its shape. If you add more water, it will get very sticky and almost impossible to work with. The trick? Time. Whereas wheat flour tends to absorb water very quickly, corn flour takes its time, about 20-30 minutes. So, when you begin to knead, the dough will be very tacky and will stick to your hands. That’s because the water is clinging to the outside of the corn. As you knead, the dough will become softer and won’t stick. It should take about 5 minutes. If after kneading for a few minutes the dough still seems dry and crumbly, add 2 Tbsp. (30 ml) warm water at a time and knead for a few minutes before adding any more water. If the dough is sticking to your hands, add a little bit more masa harina. The finished dough should feel soft, slightly sticky, and smooth. Next, separate the dough into golf ball sized chunks, rolling them between your hands to form smooth balls. This will make the tortillas about 4″ (10 cm) in diameter. Cover the dough with a damp kitchen towel until you’re ready to press out the tortillas (so they don’t dry out). When rolling out the tortillas, put something on either side of the dough ball to prevent it from sticking. You can use a piece of parchment paper, plastic wrap, or a large zip-lock bag cut into halves. Place the dough on the parchment paper and press it down to a flattish shape with your first two fingers. 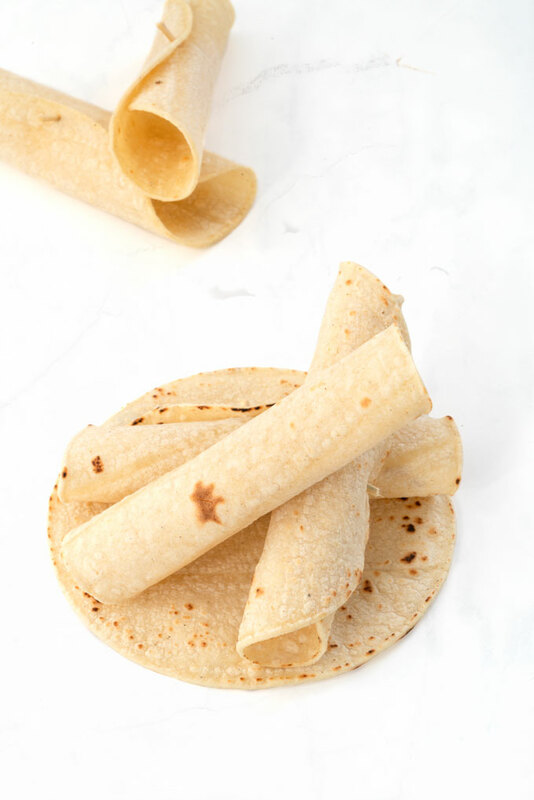 Cover with the second sheet of parchment paper and roll out the dough or press in the tortilla press to a 1/24″-1/12″ (1-2 mm) thickness. Heat a large, heavy-bottomed frying pan or flat griddle to medium-high heat. Carefully place the tortilla into the dry pan and cook it until the tortilla changes color and slightly puffs up. I like mine a little charred so I wait until a few brown spots appear. When the tortilla has taken a bit of color on one side, I turn it over and cook on the other side. The cooking time for each tortilla should be less than 2 minutes. Do not cook the tortillas until crispy! Homemade corn tortillas are a life-changer for all sorts of Mexican dishes. Think tacos, tostadas, enchiladas, burritos, corn chips with salsa . . . Don't like Mexican food? No worries - warm homemade tortillas are good enough to be eaten on their own. Mix flour and salt together. Add warm water and start kneading the dough with your hands. Since masa harina absorbs water slowly, you'll need to knead the dough for at least 5 minutes. If, after kneading for a few minutes, the dough still seems dry and crumbly, add 2 Tbsp. (30 ml) warm water at a time and knead for a few minutes before adding any more. The finished dough should feel soft, slightly sticky, and smooth. Tightly wrap dough in plastic wrap and let sit for 10-30 minutes. Divide dough into about 16 balls, Place each ball between 2 sheets of parchment paper and roll it into a 4" (10 cm) round using a rolling pin, Keep each tortilla covered so they don't dry out. Heat a dry cast iron griddle or large non-stick skillet over medium-high heat. Carefully place each tortillas into the dry pan and cook it until the tortilla changes color and slightly puffs up (under 1 minute). Then flip the tortilla and cook on the other side. The cooking time for each tortilla should be less than 2 minutes. If you keep the tortillas on the griller longer, they will become stiff. Keep the cooked tortillas warm (wrap them in a kitchen towel and place them in a low oven) as you cook the rest. The tortillas will be a bit dry and brittle just off the griddle, but will continue to steam and soften inside the towel as you finish cooking the rest of the batch. Store leftover (cooled) corn tortillas in an airtight container in the refrigerator for up to 3 days. 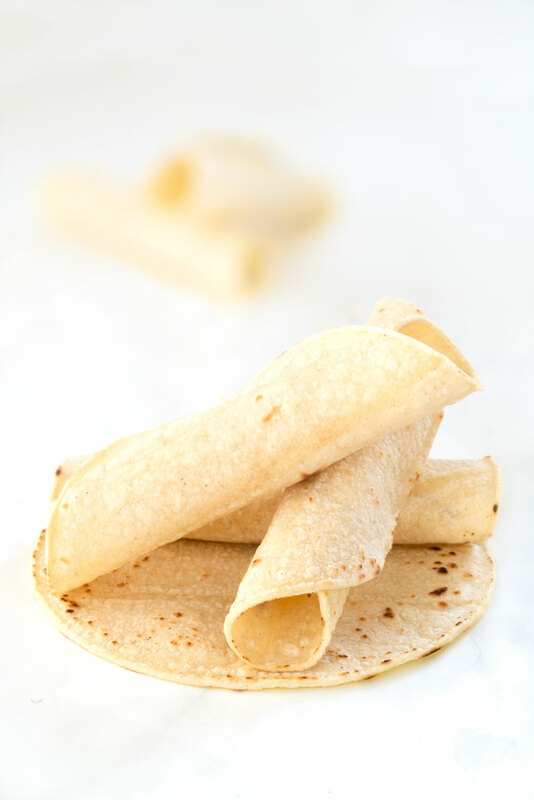 To reheat the tortillas, dampen a kitchen towel or paper towel slightly and wrap the tortillas loosely. Microwave in 30-second bursts until the tortillas are warm and pliable. Serve immediately. *Make sure you're using masa harina and not just regular corn flour. I can do this recipe With normal corn flour? Thank you and sorry for my english, I ‘m french. What kind of masa harina? Yellow or white? I’m come from Taiwan, I am very glad to read your recipe,it’s very useful to me. Is this a keto recipe? If so what are the macros please?